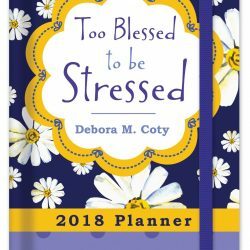 Carolyn’s brand new Too Blessed to be Stressed 2018 Planner will be winging its way to her door as she prepares for Thanksgiving this week. And I pray that you, dear BBFF (Blessed Blog Friend Forever), will also have a happy and holy time of reflection and gratitude for Papa God’s richest blessings to you this Thanksgiving. P.S. Don’t forget my Beyond Grateful Giveaway that’s still going on for a few more days – the drawing will held be on Nov. 19. 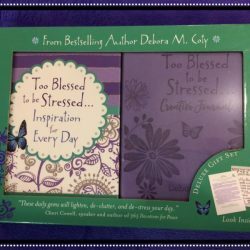 Just go to www.DeboraCoty.com and click on “Freebies” then the giveaway for easy-to-enter details to win a Too Blessed to be Stressed Devotional and Journal Gift Pack (I’m told these awesome little baby blessings are getting harder and harder to find as they sell out at Sam’s Clubs, the only place you can find them).